Kaplan LSAT Prep – the largest LSAT prep and law school admissions counseling company. Kaplan offers online and live courses ranging from $700-$1500. Proven track record: More people get into law school with Kaplan than any other program. Personalized learning: If you have ever dreamed of prepping for the LSAT while on a sailboat in Tampa Bay harbor, this can be done. Kaplan uses advanced online tutoring where algorithms busily analyze your performance and deliver tailor-made content. Tampa has two major law schools. Stetson University School of Law (famous for its litigation program). Its average LSAT score is 154. Or, there is Western Michigan University Cooley Law School, Tampa Bay Campus with an average LSAT score of 141. Take an LSAT classroom course in Tampa, FL. Find an LSAT Tutor either in Tampa or online. 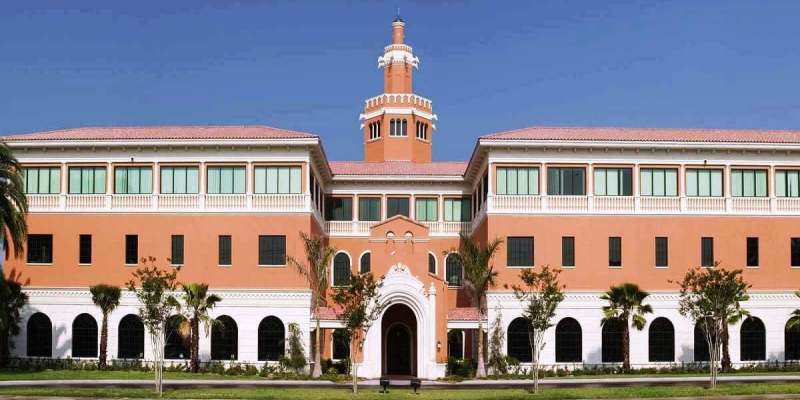 Stetson Law School, Gulfport, FL has an average LSAT score of 154 (59.7 percentile). The admissions rate is 51.1%, making it a competitive school. The average GPA is 3.30. The average starting salary of graduates in the private sector is $65,000 and in the public sector it is $40,000. The admissions deadline is May 15. For more than 35 years, students have trusted The Princeton Review to help get them into law school. The service provides the personalized private training that help you think like a lawyer. They are also a sponsor of the free LSAT Center prep course. Designed exclusively for online instruction. Study on your own with the tools you need to beat the LSAT and drill down into your weaknesses. Discipline yourself with 30 hours of live, focused classroom time focused. One of the most comprehensive online classroom courses with over 150 hours of instructional content. Personalized tutoring program tailored and taught exclusively to you. Your tutor zeroes in on your weaknesses and teaches you exactly how to beat them.